There is something remarkable about the communities that line the former Silk Road. Bound together by a shared natural environment, there is a reservoir of knowledge here, safeguarded and passed down from one generation to the next. In some parts of the world, you can live and die without knowing what’s growing in your backyard. But in Armenia, there are just some things about the land and the seemingly infinite resources growing on it that everybody—no matter how deeply into cosmopolitanism centers you venture—just knows. Got a stomachache? Drink some tea infused with wild mountain thyme. Slow metabolism? Sautee up some wild sorrel. Sore throat? A shot of homemade Armenian moonshine will do it. In Armenia, folk remedies aren’t just offhand suggestions from your grandmother. When it comes to minor illnesses, trained doctors are not shy about recommending them either. And you can find all kinds of packaged herbs and natural oils in Armenian pharmacies, sitting inconspicuously on shelves next to conventional pharmaceuticals. The truth is, what we today call conventional medicine—the kind of healthcare you get from a Western physician—hasn’t been conventional for all that long. Before engineered biomedicines targeting specific symptoms took the helm, most forms of medicine—not just those used by traditional healers—were rooted in natural materials. As such, there have always been intersections between the world of the folk and that of the physician. By nature of their proximity, villagers in the Armenian countryside are knowledgeable about indigenous plants and herbs. After the adoption of Christianity in 301 CE, Armenian monks and scholars wrote prodigiously on topics like anatomy, pharmacology, phytotherapy and botany, all critical to the development of medicine in the region. Mountaintop monasteries isolated and elevated from the threat of invasion were ideal locations for scientific study that yielded some of the world’s most brilliant and painstakingly detailed manuscripts. Many of these texts did not survive, but those that did are today housed in the Matenadaran Museum of Ancient Armenian Manuscripts. The most useful remaining books on pharmacology date from the medieval period. In the twelfth century, the father of Armenian medicine, Mkhitar Heratsi, authored his pivotal book on fevers, in which he traversed marsh-ridden countryside to study malaria, fusing folk medicine of the time with the medical advances of the scholarly and monastic world. Later in the fifteenth century, Amirdovlat Amasiatsi wrote Useless for the Ignorant, a famous encyclopedia of 3,500 Armenian plants and herbs that he translated into five languages: Persian, Arabic, Latin, Greek and Armenian, to ensure its use by laymen and professionals alike. Amasiatsi’s incredibly rich text advises on the uses of native Armenian plants in such depth that his writings continue to influence modern pharmacists, like Armen Sahakyan, a pharmacologist and botanical scholar who has been working at the Matenadaran Museum for the last several decades. A trained medical doctor ordained a deacon in 1997, Sahakyan has dedicated his life to the maintenance of Armenia’s sacred botanical traditions. Sahakyan’s private collection of botanical illustrations and pigments on display at the Matenadaran. (Photo by Karine Vann Smithsonian). Since 1993, Sahakyan has collected ingredients from recipes in old manuscripts, like those of Heratsi’s and Amasiatsi’s, and recreated them for modern use. In 2004, he began selling the resulting products at the Matenadaran gift shop, from lotion and ointments to tea blends. Sahakyan is encouraged by the renewed interest in herbalism and natural healing that he sees in both tourists and locals who visit Matenadaran. He feels that the country is finally beginning to rediscover its heritage following seventy years of Soviet intervention. Sahakyan reveres recipes as they were written by medieval heroes of Armenian medicine, and deviates little when recreating them. “I always say that, for every prescription we have discovered, a whole institute, a whole school of medicine could be established,” he recalls proudly. Most recently, he has embarked on a new treatment for psoriasis developed using these old formulae. 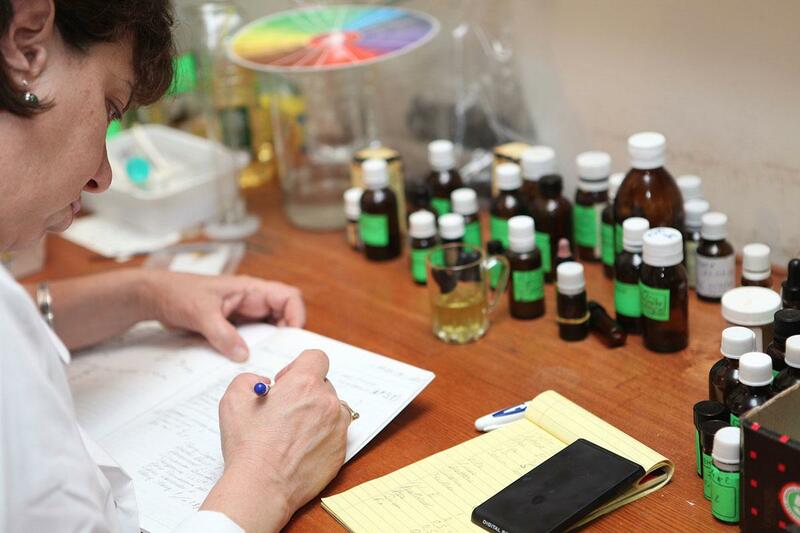 Sahakyan’s efforts are contrasted by those of Nairian, a company founded in 2014 to produce all-natural skincare out of essential oils made from Armenia’s indigenous herbs and plants. While Sahakyan has concerns about the “regression” of traditional healing under the Soviet Union, Nairian co-founders Anahit and Ara Markosian, a physicist and mathematician respectively, believe there is much to be gained by reconciling these two critical periods of Armenia’s history. Rather than eschew Soviet developments in medicine and pharmacology, they embrace them. “We don’t actually recreate any original recipes from the ancient manuscripts, but instead we create our own,” says Anahit Markosian, who leads Nairian’s research and development. Markosian says that while she is inspired by the holistic philosophy of the famous medieval Armenian doctors and their deep knowledge of plants and minerals, the company is committed to creating recipes that are in harmony with modern cosmetic trends. Nairian’s use of rose oil in a number of its products offers one example. Today, Rosa damascena, or Damask rose as it is more commonly known, is one of Nairian’s most valuable crops on their farm. To obtain just one quart of this precious oil, they must distill five tons of petals. Nairian’s facilities, which consist of an eco-farm and a laboratory made from a renovated Soviet sewing factory (they’ve kept the old Singer sewing machines for decorative value) are based out of Aragyugh, a village about forty minutes outside of the capital, Yerevan. 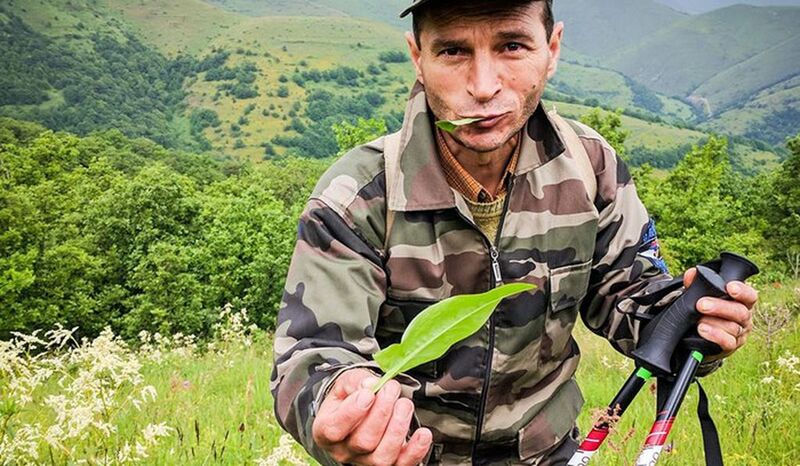 Their location is ideal, says lead botanist Lusine Nalbandyan, because Armenia has an exceptionally rich variety of endemic plants: there more than 3,500 plants native to the country. 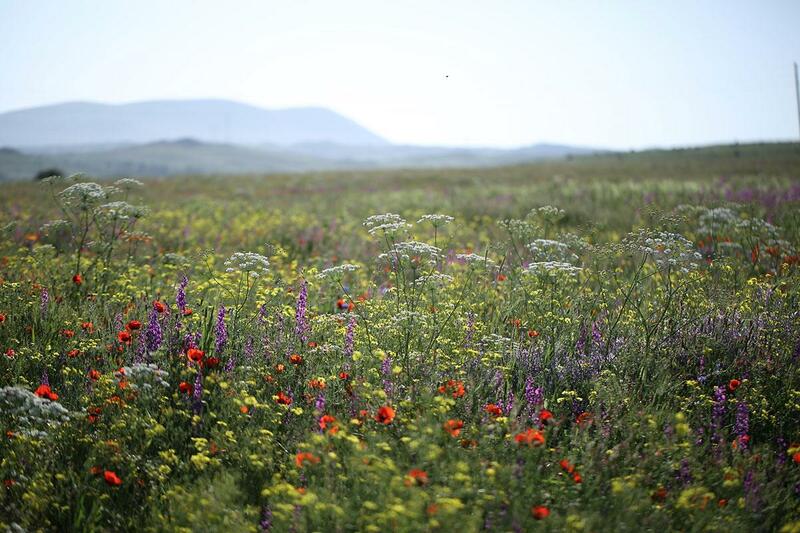 “It’s safe to say Armenia plays an important role in global agro-biodiversity,” Nalbandyan says. More than sixty percent of these plants can be found on the mountainsides bordering the village. There is a village saying in Armenia: nature is very smart, since it has a remedy for every pain. 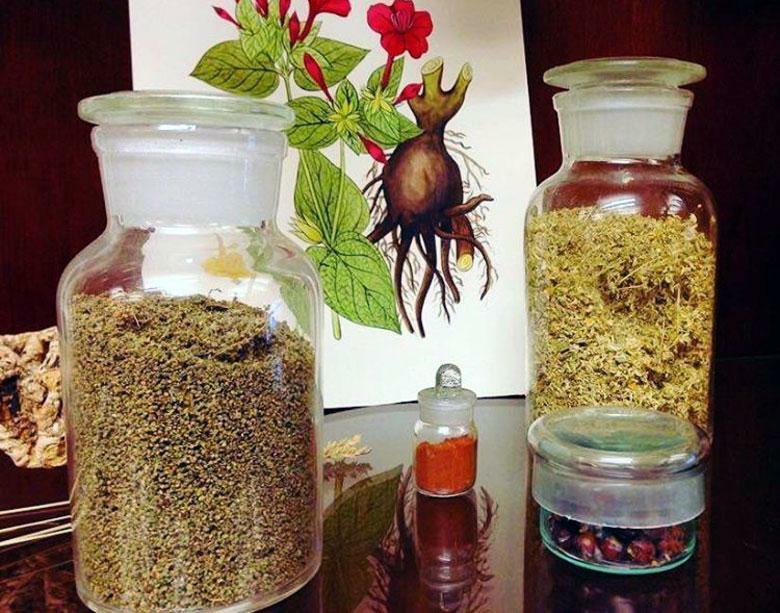 As Armenia modernizes, efforts by Nairian and Sahakyan are important in rejuvenating awareness of herbs and plants as a healing agent in the face of inexpensive, synthetic and often harmful cosmetics and drugs that are quickly populating the market. By continuing the tradition of natural healing in the region—whether by grandmothers or by pharmacists—Armenians in the twenty-first century are ensuring that it, like the land itself, is here to stay.